It is difficult to imagine the world of communication and commerce without the internet. Current data has become an essential sales argument, because only through an actual and complete product presentation can your online presence set itself apart from the multitude of competing websites. Therefore, a simple, current and exhaustive data integration has become an important factor for success in modern online shops. Steinigke would like to support you in this complex matter by offering easy and innovative tools, in order to make life in the world of data networking as simple as possible for you and your customers. The following provides a short overview of the possibilities and tools we are able to offer you. Which data can be exported? Our automated system makes it possible to obtain all relevant core data of the articles (article designation, price information, packaging information, supply on stock, etc.). Additionally, these can contain important information with regards to product presentation, such as links to product videos, picture galleries, deep-zoom pictures, etc. How do you gain access to the mentioned data? 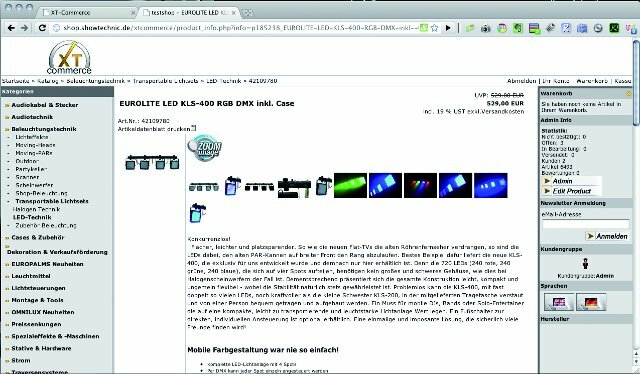 They can be downloaded in a standardized format (Excel, CSV, PDF) directly via the menu item “Pricelist” in our online shop. Or you could have us generate a data export for you, specially tailored to your requirements. The data we provide to you is exported directly from our internal ERP system and is therefore the most up-to-date information possible. Your system is just as current as our own online shop. How can the data integration be structured? You can import the data you receive from us directly via the import interface of your shop or ERP system, or you can utilize one of the enhancements (plug-ins) which we offer for various shop-systems. 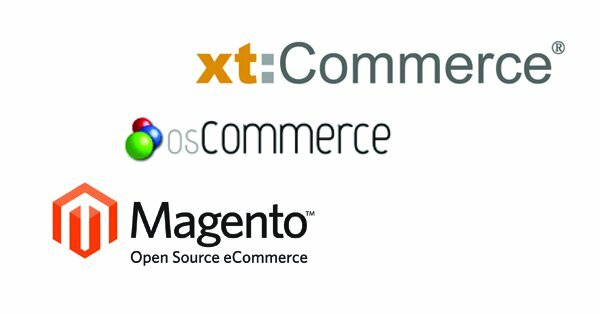 We momentarily offer plug-ins for xtCommerce, osCommerce and Magento. What can the Steinigke enhancement (plug-in) do? Ideally, when using one of the above mentioned systems, your complete online-shop system can be updated with one mouseclick via the Steinigke enhancement. All information, including product pictures and videos, can be integrated into your system from our server. It is important to note, that the circa 6500 Steinigke articles are merely integrated. Your data bank will only be supplemented and not overwritten. Consequently, conflicts with your existing core data are ruled out and you can continue to use and maintain it as you are accustomed. Furthermore, a filtration of the articles to be imported can be carried out. This allows you to configure the export as easily and as individually as possible. What additional functions can the Steinigke enhancement offer? The enhancement for xtCommerce offers the most additional functions. It presents the opportunity to automatically link data fields for so-called “cross-selling” (“Customers having purchased that item may also be interested in this…”). Moreover, you can forward orders from your shop directly to us, and we process these logistically as neutral dispatch. It is of our utmost importance, that we treat the information you send to us as absolutely confidential and only use it when processing your orders. Precisely the cross-selling functionality offers your customers a considerable added benefit and saves you additional time and effort with data maintenance. You’ve read it all through now and would like to network the data, yet aren’t exactly sure if one of the solutions mentioned will function with your system? Or you’re an expert and need more information or a variation of the data structuring we’ve presented? You have an online-shop, but no experience with the incorporation of enhancements (plug-ins)? Or you’re simply not certain how this topicality and networking can help? No problem, we have an answer to almost every question. And we’re certain we’ll find a solution for every system, when in doubt even a custom-tailored solution, enabling you to receive our most up-to-date information with the least effort. Don’t hesitate to contact Martin Dörr from our IT-Development Team. He is the reference person in our company for all questions regarding data integration and data migration. 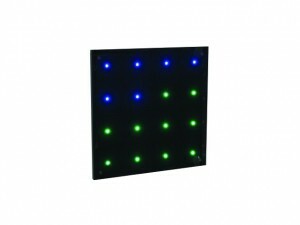 EUROLITE LED Pixel Panel – Small panels – great effect! Eurolite’s new Pixel Panel with tricolor LEDs makes its first appearance at this years PLASA in London. A combination which is everything but common – Eurolite’s new Pixel Panel combines the latest technology, solid, elegant workmanship and a fair price. 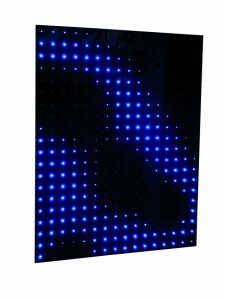 At London’s Plasa the chic, black light effect with tricolor LEDs makes if first appearance on the market. 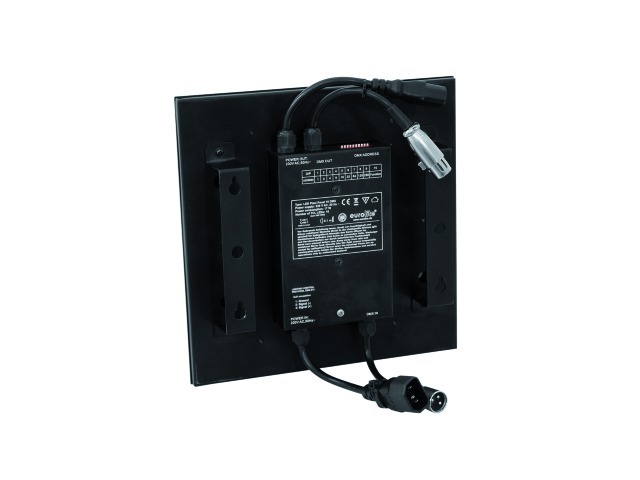 Right at first glance one difference to many LED displays or walls becomes quite obvious. In contrast to widespread bar systems, where the LEDs are placed on small strips with emptiness in between, the Pixel Panel presents an alternative. Eurolite deliberately opted for a fully covered housing. The tricolor LEDs are fixed at little openings, only a few millimeters in size. In so doing, the light can exit unhindered and produce its full power. Thanks to the large black surface area, the panel is an eye-catcher, even without illumination. The technical side is striking as well. Equipping a panel with 16 highly modern and powerful tricolor LEDs (SMD 5050) marks a premiere for Eurolite. The multichip technology, where the LEDs close ranks and light escapes through a collective lens, guarantees a homogeneous color mixture, even at short distances. The colors are concentrated and therefore seem to be more saturated. At the same time, the Tricolor LEDs do mix a pure white, impossible to create with conventional RGB LEDs. 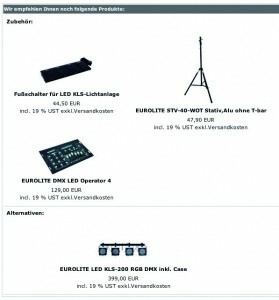 As every LED can be controlled separately numerous configuration options arise. One panel occupies 48 DMX channels that is why a control software such as Madrix can be recommended. Installation is really simple. When the plastic board is removed, the base can be screwed onto the respective surface. The panels weigh 1.5 kg, measure only 25 x 25 cm and can thus be used very individually. The more panels linked to form a bigger surface, the more impressive the effect becomes of course. But where should the panels be used? Everywhere a surface (square, long drawn-out rectangle etc.) needs illumination with strong colors and many variations. As permanent installation in bars, lounges, cafes or clubs, or in front of a DJ booth, for mobile use (wedding DJs etc.) makes perfect sense too. Soon it’s September again and that means: Plasa time in London. The most important trade show in the second half of the year is once again a platform for all representatives of our industry. There is no question, that Steinigke will be present as well. You’ll find us in Earls Court 1 at stand E8. As is usual in London we’ll offer the possibility to take a look at our current assortment. Our motto this year: the answer is in the mix. Because we are not focusing on only one special product. We are showing small but excellent progress in all areas. Why don’t you get an idea of our articles yourself and visit us in London’s Earl Court? 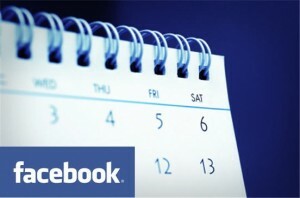 Ask for an appointment this very day and contact our staff. 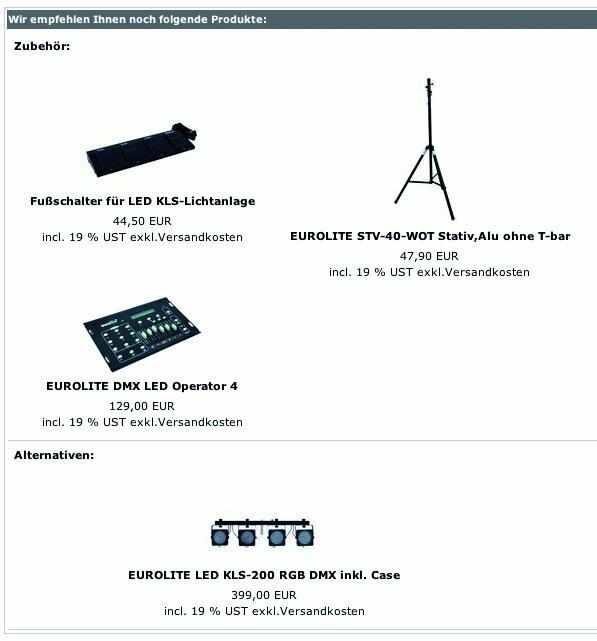 Please send your requests to info@steinigke.de or call 0049-931-4061-600.